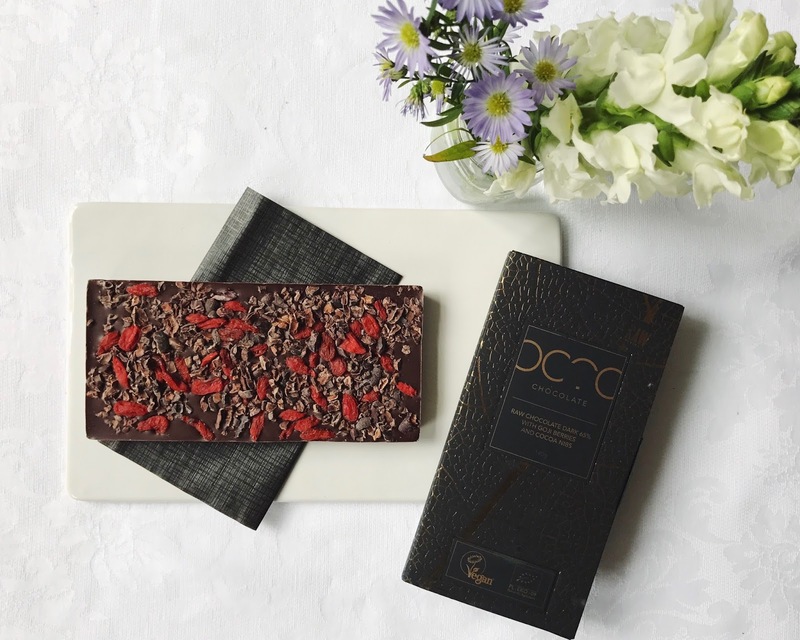 Dark Chocolate With Goji Berries & Cacao Nibs - Even at 65% this tastes much more like milk chocolate to me, it doesn't have the same rich quality that dark chocolate has (in a nice way). I loved the crunchy texture from the cocao nibs and the bitterness hint you get from those. The goji berries are a welcomed hit of sweetness and a nice chewy texture. Delicious! And just look how beautiful that bar is too! 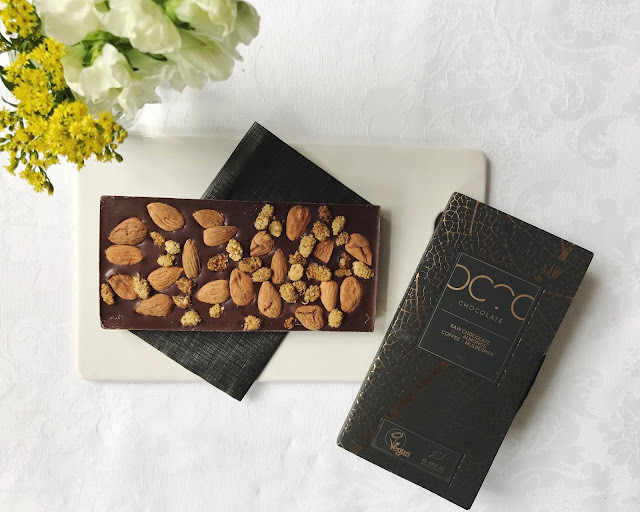 Dark Chocolate With Almonds, Coffee & Mulberries - This bar has the most amazing rich depth of flavour which is the initial taste you get when taking a bite, but you then get this subtle hit of coffee flavour afterwards which is what makes this flavour so special. Again, I absolutely loved the crunch of the whole almonds and the sweet chewy contrast from the mulberries. This has to be my favourite out of the 3 bars I tasted here and I highly recommend it. White Coconut Milk - These chocolate bars just fail to disappoint (thankfully) and this one is no exception. It is so creamy, smooth and rich and it also has a subtle hint of the coconut flavour coming through the longer you taste it. I also sampled their 'Dates Covered In Raw Chocolate' which are delicious and make for a great snack, but I am planning to use these in a recipe soon so check back here again soon for that - you wont want to miss it!